I'm glad you went ahead and got the cute fabric with the navy background! The ones in the links are cute, too, but I like the one you got the best. 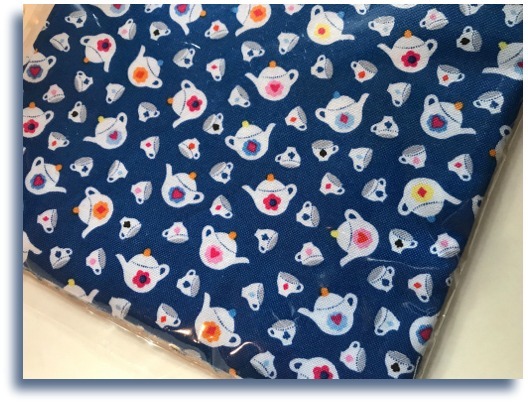 I tend to get any teacup/teapot themed fabric I see, because it will certainly not be there if I go back for it. Now I need to make something! You did find some special fabrics. If I still quilted, I could be tempted. Now I will waiting to see you quilt that is making it's way into your thoughts. It has been a while since I've looked up any tea theme fabric. There sure are some great ones out there. 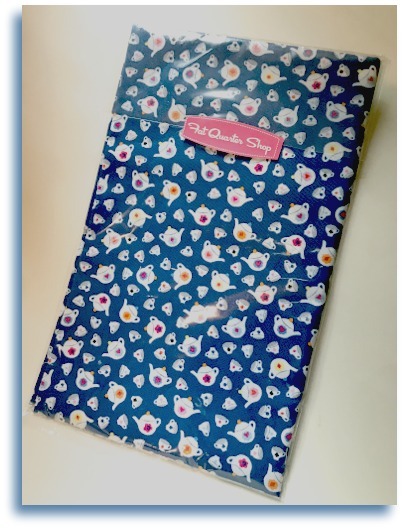 I especially like that Afternoon Tea Recipe fabric. Wouldn't it be great for aprons, placemats, tea cozies, etc.? Oh how cute! I didn't realize there were so many tea fabrics out there that I haven't seen. this is cute, cute, cute!!!! Cute! That print is new to me.